Let's discover how the marketing leaders offer disruptive innovation to the market with performance marketing ! As consumers increasingly manage their daily lives digitally, it has become essential for banks and financial institutions to serve online and mobile-ready content. Yet many other institutions remain stuck in traditional spending habits; have limited knowledge about per-per-performance, media optimization, fraud issues, and most importantly, the potential of Performance marketing industry. Financial marketers claim that, the expertise in performance marketing for Financial services means they are at the forefront of marketing open banking solutions. 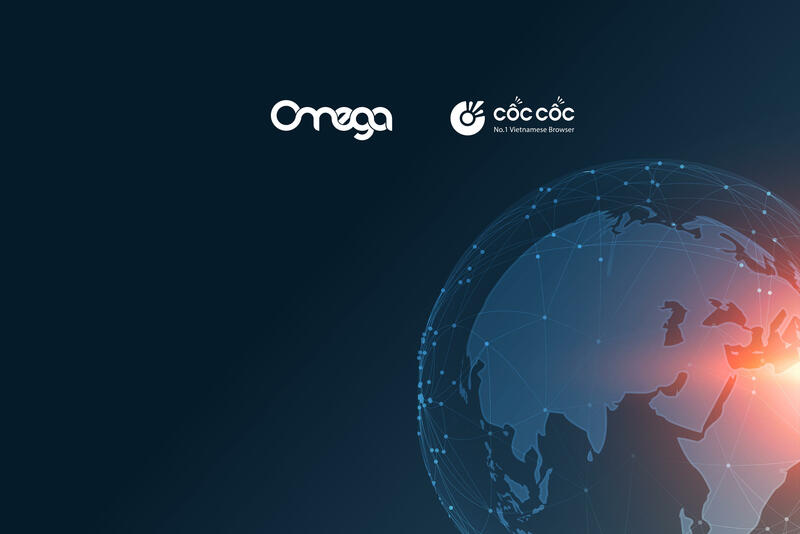 Omega Media & co-organizer Cốc Cốc - aims to use our insight on the industry, and the unrivalled affiliate experience to drive innovation for the highly regulated banking environment. Along with that, all the cutting-edge platform and our state-of-the-art tracking and performance technology will be presented in this event “Performance Marketing: Driving ROI”. JOIN OUR EVENT IN HANOI - Fill in now and wait for our confirmation through email!" in the role of director, CEO for 03 companies specializing in online marketing for national and international marketing. One of the pioneers in building and introducing adnetwork systems, influencer adnetwork, mobile adnetwork and performance platform into Vietnam. Phuong is currently the Chief Operating Officer of Cốc Cốc, whose unique advertising system allows companies to reach 23 million Vietnamese users through their browser homepage. She graduated with masters in computer science in Kharkov and relocated to Vietnam to work for Coc Coc in 2013. She has more than 8 years of sales experience as she was responsible for building the commercial part of the company. Combining technical knowledge and sales experience she successfully built the Sales Department with more than 150 people serving over 4000 clients every month. Ân has over 10 years experienced in the digital marketing industry, has been working at numerous local and global agencies, in charge of top management of multiple large-scaled brandnames such as Unilever, Cocacola. He's currently Associate Digital Director for Mediacom , group M - one of the greatest media agency in Viet Nam . Mark is the sales leader for AppsFlyer’s office in Bangkok, whose team manages growth and sales across South East Asia, Australia, and New Zealand. His team is responsible for capturing over 75% market share in SEA/ANZ, and works with some of the largest mobile companies in the world, including Grab, Agoda, Shopee and DBS Bank; as well as in Vietnam, such as Tiki, Sen Do, VNG, Onesoft and TP Bank, amongst many others. Trang Dao - Expert in Marketing in the field of personal finance, fintech with nearly 10 years of practical experience. Since 2009 she has been working in the field of digital marketing and has been involved in personal finance since the end of 2011 at FE Credit then entering the market. Nexttech Group in 2013, after five years of experience in marketing, CMO (Marketing Director and Business Development Director at Vimo), now plays the role of Co-founder & CEO of Loans (p2p). lending and www.Thanhtoanonline.vn (distribution portal of Vietnam's top content products). Jack Nguyen is responsible for Country manager of Insider for VietNam and Thailand market. In the past, he worked as Senior Consultant - Customer, Web, Marketing Analytics; Marketing Strategy, Optimization in 03 year at Sparkline company. He worked as Senior Regional Marketing Executive - Display Strategy & Customer Analytics, Zalora Group in 03 years. Movenpick Hotels and Resort is honourably chosen as an ideal place for the seminar "Marketing Performance: Driving ROI" for Bank. The Mövenpick Hotel Hanoi is conveniently located in the heart of Hanoi's central business district, a 40 minute drive from Noi Bai international airport and only 5 minutes from the city centre and its Old Quarter. This makes our hotel ideal for business and leisure travelers. ﻿Omega Media Worldwide JSC, a dynamic team with 10 years experience in digital marketing, dedicated working attitude & advanced technology providing online media services based on final KPI of the campaigns. Started with 2 offices in Viet Nam (Ha Noi & HCMC), however Omega Media still can serve campaigns over Asia because our huge traffic is Worldwide coverage.